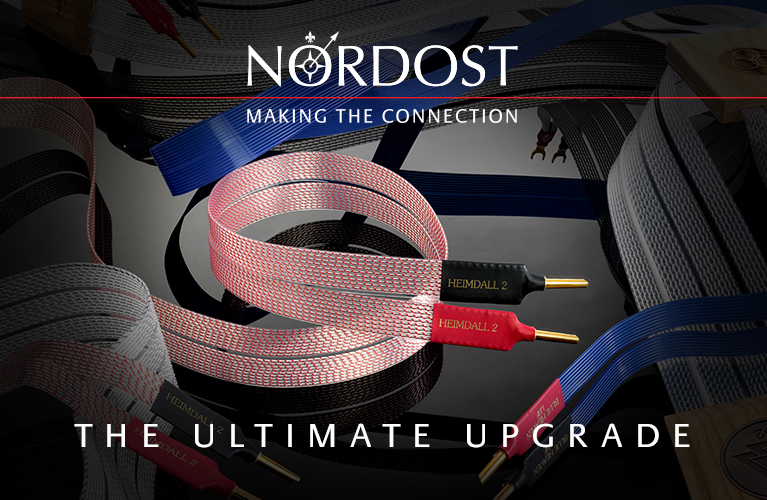 To most audiophiles, Magnum Dynalab is a supplier of very high-end tuners. 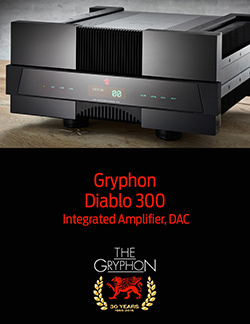 They certainly are that, but this Canadian company is no one-trick pony; a perusal of their website reveals not one but two integrated amplifiers in their product line. 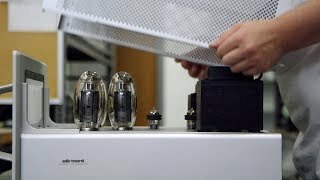 Although their MD 209 has a price ($6500 USD) much closer to those of most of the components I review, this time I went whole hog and requested a sample of Magnum Dynalab’s top-of-the-line integrated amplifier, the MD 309, which retails for a hefty $8750. The MD 309 is one big component. Measuring a nearly square 19"W x 6.5"H x 20"D, it’s so deep that I had to move my rack 6” farther away from the wall. It’s heavy, too, weighing 60 pounds that feels like more. Also hefty is its brick-like, full-function remote control of machined aluminum, which can also operate any of Magnum Dynalab’s many tuners. Three interesting aspects of the MD 309’s exterior are its 1”-thick (!) 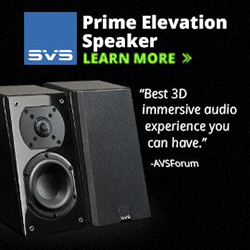 faceplate, its audiophile-spec feet, and, front and center, its 5” LCD touchscreen. Thick front panels aren’t unique in high-end components, but the MD 309’s four feet are uncommon in that the base of each one includes a Vibrapod. These are great isolation devices, and it was a treat to see that MD has put more thought into the MD 309’s feet than the industry norm of just screwing on some cones. The most obvious difference between the MD 309 and most of its competitors is that LCD touchscreen. Glowing a medium blue, the panel is used to power on the MD 309 from standby, and to control volume and source selection. Both of the latter functions can also be controlled using the large metal knobs at the left and right ends of the faceplate. Between the LCD and each knob is one of two vertically oriented, analog-style output meters. The needles move with the music, but not until the MD 309 is turned up pretty loud. Inside the chassis are some pretty hard-core components. No fewer than 40 Sanken output transistors produce a claimed 225Wpc into 8 ohms or 450Wpc into 4 ohms. That’s a lot of power for an integrated, and it wouldn’t be possible without a robust power supply. Towering over the rest of the MD 309’s components is the biggest toroidal transformer I’ve ever seen; it looks as if it could power a small town, let alone an audio component. Storing power are eight pricey Mundorf capacitors (22,000µF each), these located close to the output transistors they feed, to ensure the timely delivery of power. 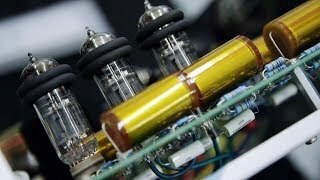 Before those transistors in the output path sits Magnum Dynalab’s proprietary vacuum-tube preamp stage, which, along with the output transistors, comprises what MD calls its Hybrid Acoustic Circuitry. On their own board, replete with 24k-gold-plated circuit paths, are two JJ 6922 Cryovalve tubes, one per channel. These deep-frozen tubes are carefully matched and burned in before they ever set eyes on an MD 309, which should mean that the tubes last quite a while. 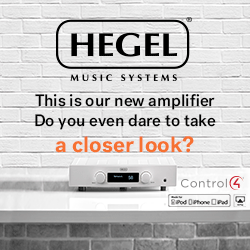 Traditionally, an integrated amplifier has been a preamp and a power amp housed in a single box. Of late, that tradition has gone out the window -- many integrateds now come ready to roll with integral digital-to-analog converters, and the most up-to-date offer a USB input into their digital processing stream. In both regards the MD 309 obliges, with a standard built-in 24-bit/192kHz D/A converter featuring one USB and two coaxial inputs. 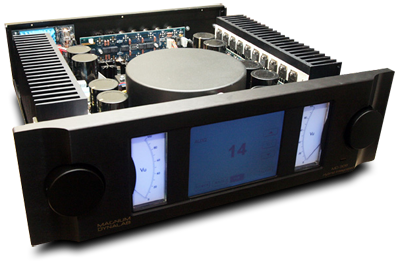 Magnum Dynalab is quite proud of their DAC, boasting that it uses only the best components from Burr-Brown, Cirrus Logic, and Mundorf. I am now an experienced unpacker of Magnum Dynalab MD 309s, thanks largely to a delivery company whose name can be pronounced Oops. The first MD 309 that came my way had a beautiful, black-anodized faceplate that provided a splendid backdrop for the blue glow of the touchscreen and meters. Alas, after suffering an Oops moment, this first, sacrificial MD 309 was good only for demonstrating that the amp’s protection circuit, which constantly monitors for trouble, works like a charm. An autopsy performed at the MD factory determined that this unit had been dropped hard enough to bend its tank-like chassis and force free one of the power-supply capacitors. That, folks, is some world-class delivery negligence. The replacement sent from the factory came with a natural-aluminum faceplate. It’s attractive enough, but I joked with Magnum’s representative that I wouldn’t review it unless the stunning black sample came back to me. All kidding aside, the replacement survived Oops unscathed and was soon put on a 24/7 burn-in cycle to get it ready for prime time. As this unit had left the factory with 100 hours of testing on its clock, it didn’t need long to sound its best. Getting at the MD 309’s high-quality RCA inputs wasn’t easy because of the unit’s exceptional depth, but those jacks and the amp’s IEC power inlet and speaker binding posts are well placed, making it easy to route cables so that they don’t interfere with each other. I appreciated that the MD 309’s binding posts are at the bottom outer edges of the chassis; that made it easy for me to change speaker cables without having to run my hands through a snake pit of interconnects. 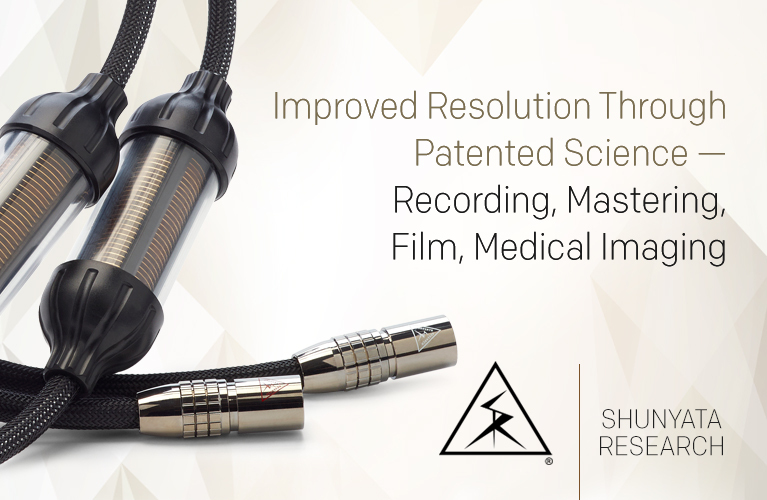 The levels of source components can be matched via the MD 309’s touchscreen. MD says that the interface is intuitive and easy to use, so I left the product manual in its wrapper and tried to intuitively preset volumes for each output. When that didn’t work, I followed the procedure outlined in the manual. That didn’t work either. The display leaves you with the impression that it’s more customizable that it seems to be, but the Edit and Next buttons that appear when the Setup button is touched don’t seem to do anything. Perhaps future features will take advantage of these. 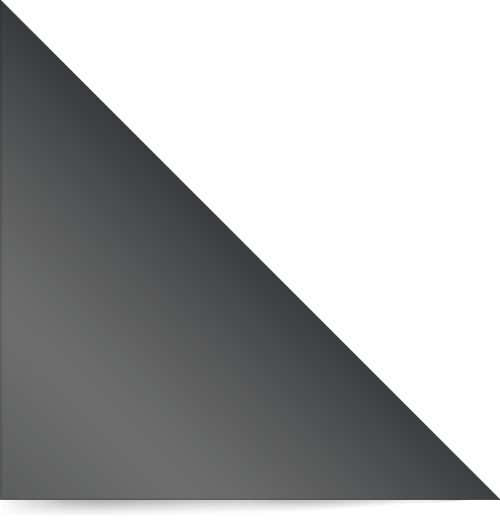 The Dim button does do what its name implies, but no more; the display dims to about half brightness but can’t be shut off. The MD 309 had other quirks that weren’t deal breakers but were surprising in so expensive a component. The strangest was a hum that quickly built inside the device and then faded away. This wasn’t a persistent problem, but it wasn’t rare either. The hum didn’t interfere with the music at moderate or high volumes, but at lower volumes it was hard to miss. When I asked MD what might be causing it, they seemed baffled. I suggested that my power-line filter, which uses a whole lot of capacitors, might be the culprit, but this wasn’t confirmed. The MD 309 made other noises. First, when the volume was raised or lowered, the speakers emitted a faint chirp for each volume increment. I don’t know if these chirps are supposed to inform the listener that the volume setting is being changed, but the fact that the music is getting louder or softer should be clue enough. The other sound was a soft, digital-sounding pop through the speakers whenever I selected a different source input. Again, I’m not sure why the amp did this, but presumably both noises are design choices. Mere trifles? Perhaps, but this integrated amp sells for $8750 -- I don’t think it’s unreasonable to expect that all its apparent functions should work, and that it should be dead silent when it’s not making music. The first attribute of the MD 309’s sound that came to my attention was its colossal bass -- not the nausea-inducing flab you hear from boy racer cars, but the tight, refined low end most often associated with top-of-the-line subwoofers. Of course, how low the MD 309 will go will be hugely dependent on the speakers it’s driving, but I’m absolutely convinced that it got everything there was to get from the Compact WZ-5 SE Collector’s Editions. The Compacts’ 8” woofers combined with the Magnum to offer a sonic earthquake that shook my house, and my faith in the fixtures supporting my wall hangings. “Canned Heat,” from Jamiroquai’s Synkronized (CD, Epic Japan 8006), sounded particularly concussive, as did any track on which Ray Brown played his double bass. But while the Compacts could be taken by the MD 309 into very deep waters, the speakers didn’t always take advantage of the drill-sergeant-like control the Magnum could exercise over less recalcitrant designs. Among the latter was the Gemme Tonic G5. Though having only a tiny 5.25” mid-woofer, the G5 goes reasonably deep with normal amplification -- but the MD 309 took it down where other amps dared not go. The signature here was more energetic bass at the low extreme of what this speaker can produce (ca. 40Hz), without that extended output sounding puffed up, as you’d get with a Loudness control. An analogy would be the difference between using regular and premium gasoline with a turbo engine; the latter gives you maybe another 10% of power. The Gemmes are imaging champs, and the MD 309 only enhanced their ability to throw out a huge, realistic soundstage, while making the little speakers seem to disappear. If you’re a Star Trek fan, you’ve probably seen Captain Picard fill his ready room with music when there are no speakers in sight. The MD 309 and Gemme Tonic G5s might be the first link in a chain leading to such componentless music reproduction. I could see the amp and speakers, but I’ll be darned if I could tell that they had anything to do with the sound I was hearing. 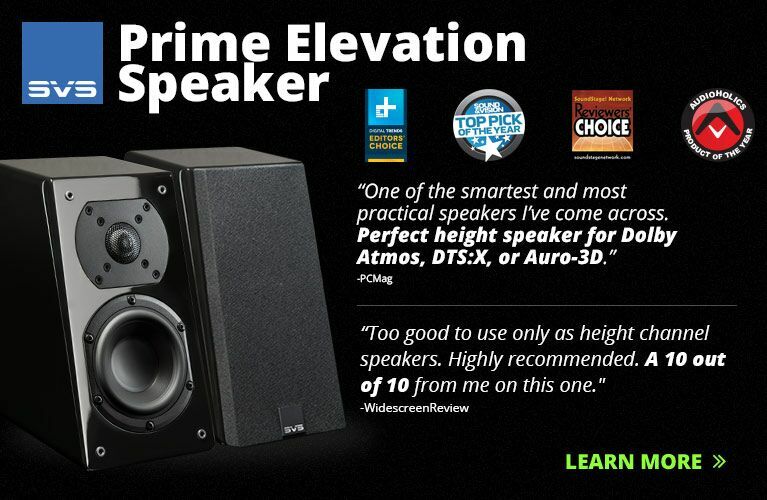 My reference speakers, Definitive Technology’s Mythos STs, weren’t of much use in the bass test because each has an internal powered subwoofer. However, the Mythos STs are very clean through the midrange and treble, and so served as my key reference for that part of the audioband, and have never sounded better than they did with the MD 309. The Magnum Dynalab was a jack of many trades, covering off upper-bass and treble subtleties and detail as well as it did deep bass. Probably thanks to its tubed gain stage, the MD 309’s midrange soothed the ears as a warm fire does the body après ski. The chief denizens of the midrange, saxophones and voices, sounded magically natural and honest. Ben Webster’s excruciatingly beautiful tenor sax on “Chelsea Bridge,” from his Music for Loving (CD, Verve 527774), brought back fond memories of a spellbinding Bud Shank performance I saw in New York City a few years ago in celebration of Shank’s 80th birthday. Though this was in 2009, only a few years before his death, Shank and his alto sax were one: there was no telling where man ended and horn began. So it was with Ben Webster and the MD 309. The subtle breaths, the clack of the keys when depressed, the ever-so-subtle whumps of pads closing over tone holes, added up to a startlingly vivid sonic portrait. I can only imagine what this 1954 session might have sounded like had it been recorded with the mastering technology of 2011. I was so enthralled with the combo of MD 309, Mythos STs, and Webster that I listened to “Chelsea Bridge” seven times before shutting down for the night on a very big high. That, friends, is why I’m into audio. What other hobby/obsession puts a hugely talented, beautifully recorded virtuoso smack in the middle of your listening space? You may be able to buy a copy of a painting by Van Gogh, but only fine-quality sound, such as is rendered by the Magnum Dynalab MD 309, gives you the emotional lift intended by the artist. It’s not possible to separate the MD 309’s internal DAC from its amp, but I could compare it with both the Simaudio Moon 300D DAC ($1599) and the Ayre Acoustics QB-9 DAC ($2500) by passing each through one of the Magnum’s analog inputs. In terms of sheer performance, the MD 309’s internal DAC was on the level of the 300D, which is clean, has very good dynamics, and packs a lot of punch. In direct comparison, the Magnum’s internal DAC sounded a little more refined and tonally natural, but that might have been the difference between the 300D being hooked up via interconnects and the Magnum’s DAC being hardwired. 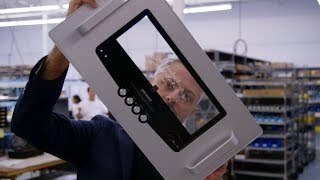 I did prefer the QB-9 in all aspects of performance -- it was more detailed, portrayed a wider and deeper soundstage, and went deeper in the bass -- but it’s probably a bit much to expect $2500 worth of performance from an integral DAC that’s part of an integrated amp selling for $8750, especially when it’s clear that, in the MD 309, most of the money has gone toward putting out gobs of refined power. I pitted the Magnum Dynalab MD 309 directly against my Simaudio Moon i5.3 dual-mono integrated ($3299), and indirectly against Calyx’s The Integrated ($1800), the latter arriving the day after the MD 309’s departure. Both competitors cost considerably less than the MD 309, but were better matches than their price points might imply. 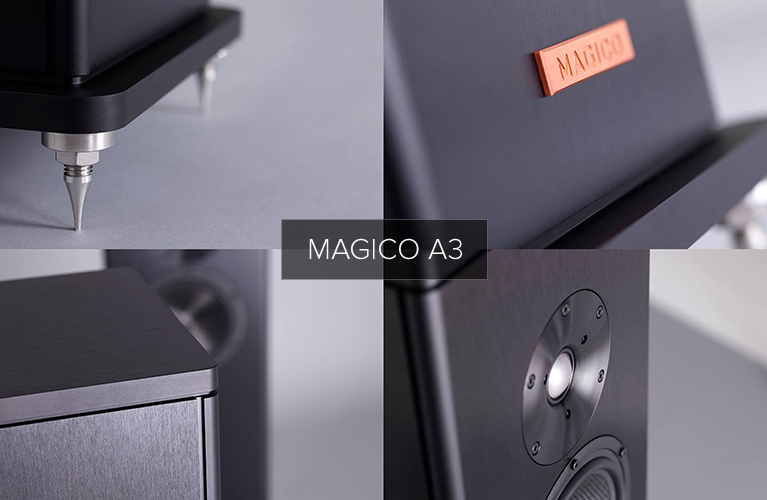 The MD 309 and the Simaudio shared some attributes, such as a generally neutral sound and a particular skill level with mids and treble, while the Calyx came close to matching the Magnum’s bass depth and control. Neither could match the MD 309’s seductive midrange or ability to extract fine detail and subtleties. In fact, after listening to the MD 309, I think it’s time to start saving my pennies toward a new integrated. Although the i5.3 is a fine amp, once you’ve experienced the power and bass control offered by the MD 309, you’re darn near ruined for anything less. On a more objective level, the Simaudio and Calyx were both dead silent in operation and performance, something the hybrid Magnum couldn’t boast. And while some might find the flexibility of the MD 309’s touchscreen interface enticing, I’m more than happy with my Sim’s simple volume control and source selector. I also found the MD 309’s size to be a challenge, but if you don’t replace your amplifier once a month, as I do, that might be less of an issue! Still, the MD 309 will occupy every square inch of most shelves. But hey, a Rolls-Royce won’t fit into the average garage. Drawing an analogy with that renowned automotive brand isn’t all that far off -- the Magnum Dynalab MD 309 is certainly a luxury good for the ears. Like a Rolls, it’s big, heavy, powerful, and refined, and it tells the world that its owner is more concerned with substance than with flash. A Rolls has a large-displacement engine, and the MD 309 has a huge number of powerful output transistors and a massive power supply to ensure that it never runs out of steam. 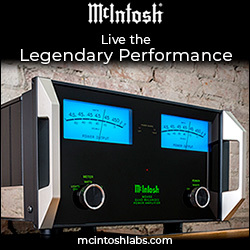 The MD 309 is a superb integrated amplifier that, in the area of audio performance, must be one of the very best. Yes, the machine has quirks; but it can be forgiven some of these because, for its primary mission of the faithful reproduction of music, it was an excellent performer with nary a significant problem anywhere in the audioband. If all you care about are excellent sound and having enough power to de-orbit a small moon, then the Magnum Dynalab MD 309 is worth your serious consideration. Firstly, we would like to thank Colin [Smith] for his effort in describing the audio attributes of the MD 309. The balance between power and fine audio was our goal with the MD 309. 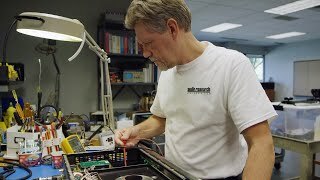 Colin’s mention of the peculiarities and noises in the MD 309 were related to the software and diagnostics; both of these situations have now been addressed, with the result that the unit is dead quiet, and does not exhibit any noises when inputs are changed or the volume is adjusted. We would also like to thank the SoundStage! 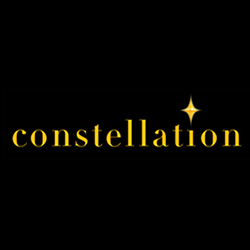 Network for continuing their efforts to write about two-channel audio.